Joining two pieces of metal together by spot welding can be quick and efficient, but the resulting join will not be adequate for all purposes. It can be weak or deformed, particularly if the method is not used correctly. Spot welding basically joins two pieces of metal using the heat from an electric current. The two pieces of metal are pressed together with electrodes on either side. The electrodes are connected via a small spot. The current must be applied for the correct amount of time in order to get a strong join. The exact timing will depend on the types and thickness of metals being joined. The electrodes have to be able to reach both sides of the pieces of metal that are being joined together. A particular spot welding machine will be able to hold only a certain thickness of metal--usually 5 to 50 inches--and although the position of the electrodes can be adjusted, there will be only a limited amount of movement in most electrode holders. The size and shapes of the electrodes will determine the size and strength of the weld. The join forms only at the spot where the electrodes are in contact with the metal. If the current is not strong enough, hot enough or the metal is not held together with enough force, the spot weld may be small or weak. Warping and a loss of fatigue strength can occur around the point where metal has been spot welded. The appearance of the join is often rather ugly, and there can be cracks. The metal may also become less resistant to corrosion. Spot welding is quick and easy. 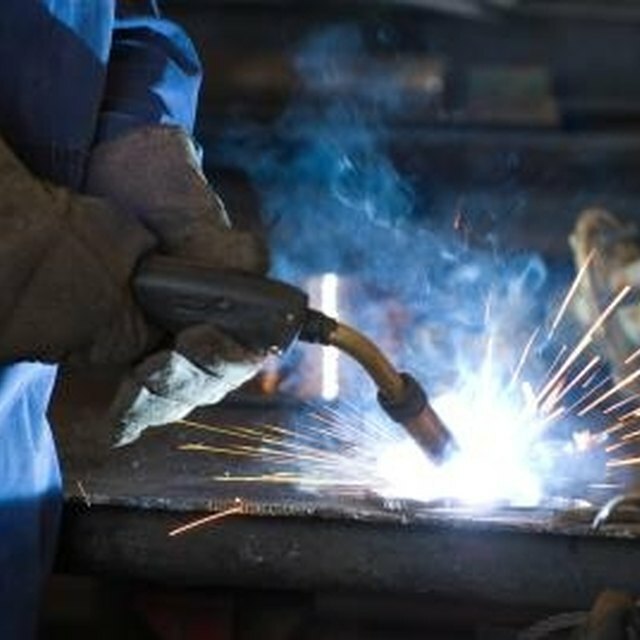 There is no need to use any fluxes or filler metal to create a join by spot welding, and there is no dangerous open flame. Spot welding can be performed without any special skill. Automated machines can spot weld in factories to speed up production. 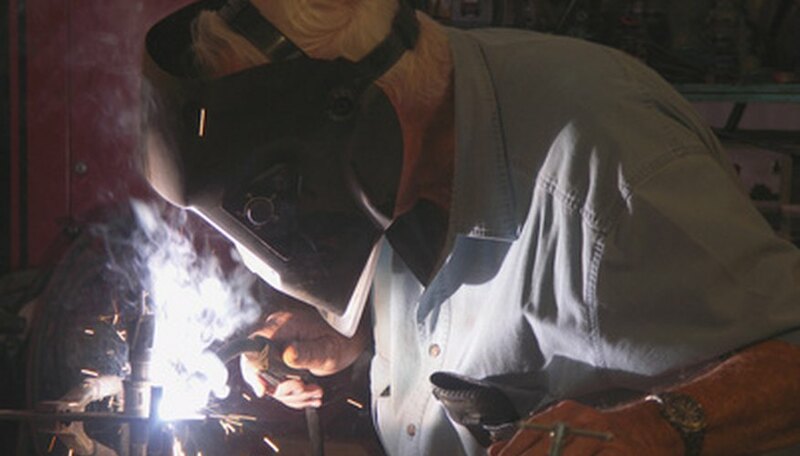 The machines used in car factories produce as many as 200 spot welds in six seconds. Spot welding can be used to join many different metals, and can join different types to each other. Sheets as thin as 1/4 inch can be spot welded, and multiple sheets may be joined together at the same time. Spot welding is useful in many circumstances, although there are certain limitations. It can create only localized joins, which may not be particularly strong. The strength of a spot weld depends on the force and temperature that has been applied and on the cleanliness of the electrodes and metal. The difficulty of attaching the electrodes to oddly shaped pieces of metal can be avoided by using a portable spot welder. This has electrodes that are attached to long cables so they can reach inaccessible places. Eric Bagai is a senior writer in the high-technology field, to which he can offer more than seven years of experience as a copywriter. He has written several articles for eHow and holds a Master of Arts in creative writing from Oregon State University. Bagai, Eric. "Disadvantages & Advantages of Spot Welding." Sciencing, https://sciencing.com/disadvantages-advantages-of-spot-welding-12283375.html. 25 October 2017.